Question: I have a 1997 Coachmen Catalina Sport. Everything that runs on 12-volt makes the battery low. I have to start the engine for a while and it charges, but in a little while I have to do it all over again. I’ve had the battery checked and was told it’s okay. Answer: Without more detail it is difficult to give a simple or specific answer, but here are a few thoughts and speculations on the subject. Just because your battery tests OK, it does not mean that it is OK for the power demands you place on it. From you description of the problem and how you recharge the battery, I suspect that the battery is not being fully charged before you start drawing power again. If the battery is in fact good, then it must be that the power demands you are placing on it are too great for that battery. So many things can affect the usable energy stored in a battery that it is not possible to explore all the reasons. But perhaps some of this will point you in the right direction. Since you are running your engine and using your alternator to charge your battery I can only speculate that you are not running the engine long enough and that the battery is only being partially charged. I also have to speculate that you are using the 12-Volt appliances because you are not plugged into power. The engine and alternator must run at a fast idle and for as long as it takes to cover the equivalent of twenty to thirty miles for the battery to be fully charged, and much longer if the battery is a deep cycle battery. What you seem to be doing is only giving the battery what is called a surface charge. This surface charge only lasts a few minutes and the battery soon starts to deplete its power reserves. If you do this long enough the battery will become sulfated and its useful life will be shorter and shorter with each partial charge. In the end you will not be able to recharge the battery and you will have to replace it. You said the battery tested OK but how far did you drive to have the battery tested? If you drove more than thirty miles, you may have recharged that battery sufficiently to have it test OK. Did the shop do a load test on the battery? Did they test each cell to make sure the battery did not have a dead cell? All food for thought. You may need to get a new battery. If you are plugged into power and the 12-Volt appliances are running your battery down, then you have a charging system problem. More specifically, the charger that is supposed to charge your house battery while you are plugged into power is not operating properly. 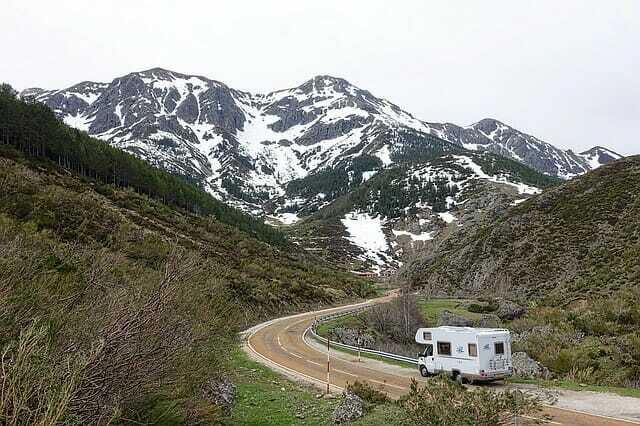 You should probably go to a qualified RV shop that specializes in RV electrical systems. The other possibility is that the battery is not capable of providing all of the power you need or for as long as you need it. You need to check the battery’s load capacity to see how it compares to the power requirements placed on it. If you have not already done so, I suggest that you make a list of each of the 12-Volt appliances that run off your battery while the engine is off. Then calculate how much each appliance draws on an hourly basis in AMPS. Determine how many hours you expect to use each appliance. Once you have all this data you can calculate how many total AMP hours are required for your needs. The number of AMP hours calculated will allow you to determine if your battery has sufficient Reserve Capacity (RC) to accommodate all of the power requirements. The solution may be as complex as redesigning your 12-Volt system to accommodate more/bigger batteries or as simple as just managing your power needs to match the battery’s power capacity. P.S. Just FYI in case you are using a car battery: Car batteries, also called starter batteries, are rated in Cold Cranking AMPS (CCA) and do not have sufficient reserve capacity to run 12-Volt appliances for very long. This could be your problem. Hope this helps. Other comments welcome. Jan 13, 2015 RE: Battery issues? I second Smokey’s comments and thought I would add a little myself. First off, they are referring to the Battery? If it is truly just one deep cycle battery, that sounds like an issue in itself. My current class-C coach came with 2 deep cycle coach batteries and I added a third. Knowing that I do a ton of NF camping (with no Hookups)I opted to add the 3rd battery, 280 watts of solar panels and a good charge controller. This gets me about 4 hours of TV/satellite a night with a 2000 watt inverter and a full night of heat at just under freezing temps. 2 to 3 hours on genie(55 amp charger)in the am and the sunshine the rest of the day brings me back to full charge. The main thing to remember is deep discharged deep cycle batteries, take a deep long charge to recover. Running the main engine for 30 min. or even a couple hours will never fully charge a deep cycle battery. Once the main engine battery is at full charge the charge amperage drops off to all batteries. Question: My batteries acted like they were dead and indidcated by the monitor panel. Of course plugged into 110 lights and everything works fine.. But when disconnected and I turn on a 12 volt light on or pump, it goes on momenttarily then goes off and everyhting is dead. Obvioulsy I charged the batteries independently, one would not come up to full charge so I replaced them. I still have same problem when turning light on, goes off and everything is dead. Also the propane monitor beeps when you turn on and off a light. Any ideas?? Answer: Since you have replaced the batteries and you are still experiencing the same problem we suggest that you take the RV to a service center to identify the problem. Although, we could make guesses at what is wrong your best course is to seek professional help. We do know that the problem is on the 12 volt side since things work when plugged into shore power. You might have a faulty ground connection – I recently discovered a bad ground that was causing one of my heater fans, a light and the propane detector to fail. Your inverter/converter could have a bad connection on the 12 volt side. a charge, so I found a 40 amp auto resetting circuit breaker under the trailer at tongue. It was engergized by the battery then lead to the converter….scratched my head and cant ever remember ever having to replace an auto circuit breaker in any vehicle I have ever owned…..had a new one on hand…disconnected the old one, re hooked everything up and ALL IS WELL, works fine now…So obviously the breaker had weakened and gone bad. Made sense when I thought about it, allows converter to energize 12 volt system cause it has its own fuse….but when you try to draw power from batter, it tripped…go figure. Well after a day and a half of fretting and taking a 3rd of the trailers electrical system apart…I learned a lot and saved a few bucks I’m sure. Thanks for your response again and I hope no one else ever has the problem but Maybe my experience will help if they have a similar problem. I want to take a moment and hopefully fill in a little as I feel that there are still missing parts to your explanation for this person; I feel that this person was not only asking what you wonderfully explained, but also that this person does not understand HOW to use their 12 volts system. This person needs to understand that if they want to only use their 12 volt system they are going to have this same issue forever, meaning that the 12 volts system in most rv’s does not last that long (as long as his question feels to me) as when you use your lighting, the fridge, the hot water heater, and so on you will run your batteries down rather quickly in most RV’s. And like most – if they want to boondock will need to do some major upgrades to their battery system to get it where it might work, the batteries would most likely need to be replaced (not enough info). The issue with running the engine will not work (as you state) because it will take hours to charge a rundown battery in this manner, and most likely will never be fully charged. The charging system will need upgrades (solar, converter) and also might still need a portable generator to still make up the difference (again I am guessing because of lack of information). By in my option this person needs to fully understand the sum of the batteries is much bigger than just the batteries! So I hope this might fill in more holes for this person and they can better enjoy their camping experience.